As New York’s 152 municipal unions line up to press Mayor Bill de Blasio for raises and back pay, his administration and the powerful teachers’ union are reaching the final stages of a largely overlooked, drawn-out battle that could prove enormously expensive to the city — potentially putting at risk its ability to balance the budget. The union is seeking $3.4 billion in retroactive pay, and fiscal experts say there is a realistic chance it could win. The fight has its roots in something akin to a game of musical chairs, in which the teachers’ union was left without a seat. But the dispute could end up making it harder for other city unions to win the raises they have been agitating for after several years of working with expired contracts. In the last round of municipal labor negotiations, most city unions received 4 percent pay increases for 2009 and 2010, and in the current dispute the United Federation of Teachers is demanding the same raises. That union had yet to complete such a deal for a new contract before Mayor Michael R. Bloomberg was elected to a third term in 2009. At that point, Mr. Bloomberg, citing plunging tax revenues and state aid as a result of the financial crisis and recession, said the city could no longer afford to give the teachers the same 4 percent raises. He offered 2 percent, then withdrew that, saying he would use the money to avoid teacher layoffs instead. Teachers’ salaries currently range from $45,530 to $100,049. The union and the city reached an impasse, and the standoff wound up last spring before a fact-finding panel of three state-appointed labor experts. Their recommendations are expected in the next few months. Should the teachers’ arguments prevail, city and union officials said, the panel would most likely recommend the full $3.4 billion for the teachers. City officials declined on Tuesday to discuss how they would proceed if that happened. The panel’s recommendations will not be binding, as in arbitration. In the past, mayors or union leaders whose arguments failed to carry the day have often balked at embracing fact-finders’ judgments. But rejecting them outright creates an uphill public relations battle, and in the end, the recommendations have been largely accepted. For Mr. de Blasio, a Democrat with close ties to labor and big hopes of increasing spending on prekindergarten and after-school programs, paying billions to the teachers could starve him of the resources to finance his policy goals. If the fact-finding panel calls for $3.4 billion, that could make it harder for the mayor to give other municipal unions, whose contracts have also long since expired, the sort of raises they have been clamoring for. He could also be forced into measures like tax increases or service cuts, said Maria Doulis, director of city studies for the Citizens Budget Commission, a business-backed watchdog group. “One hundred fifty open labor contracts creates tremendous fiscal uncertainty,” he said at a news conference at City Hall. 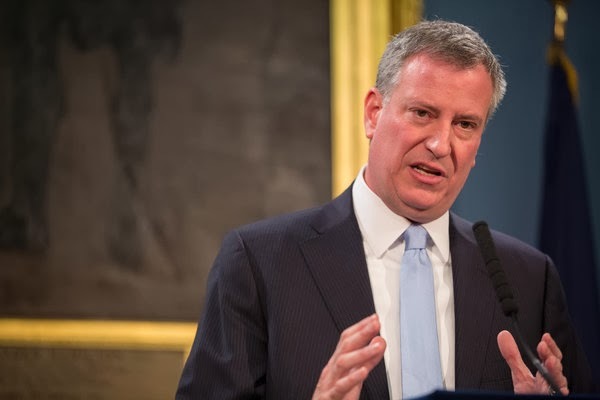 The mayor added that the reason he wanted an income tax increase on the wealthy to pay for the expansion of prekindergarten and after-school programs was to protect those goals from being swamped by the labor settlements. Officials from the city and the teachers’ union will meet with the fact-finding panel next week, and it is possible that the two sides could reach an agreement on their own. The teachers’ union is insisting on the same 4 percent raises other unions received in 2009 and 2010, pointing to the city’s longstanding tradition of “pattern bargaining,” in which the municipal unions generally receive the same raises. The argument from the union is simple: The city cannot have it both ways, insisting on pattern bargaining to hold pay increases down in flush times, but then opposing it during an economic downturn to stop wages from being driven up. The union has cited repeated statements by the city’s longtime labor commissioner, James F. Hanley, as well as by Mr. Bloomberg, about the importance of adhering to pattern bargaining for labor contracts. In 2010, Mr. Bloomberg, a political independent, argued that the recession had been so severe it necessitated a new, hard-nosed, deficit-minded approach toward municipal unions. His administration urged the fact-finding panel last year to recommend less than 4 percent a year because, it said, the fiscal picture had darkened since the financial crisis — as evidenced by a three-year wage freeze that Gov. Andrew M. Cuomo, a Democrat, persuaded the largest state workers’ union to accept in 2011. But improved economic conditions could undercut that argument now, some experts said. Carol Kellermann, president of the Citizens Budget Commission, worried aloud that the fact-finding panel could give greater weight to the city’s current financial picture than the gloomier circumstances in 2010. “We have kind of lost the urgency of the moment,” she said. Still, he said the budget could be squeezed if the city was called on to pay the additional billions in retroactive raises that other municipal unions were demanding because the city’s 300,000 employees have had no contracts or raises for several years. That view is shared by Ronnie Lowenstein, director of the city’s Independent Budget Office, even though she forecasts a $1.9 billion surplus for the city next year. Because there are so many unions seeking raises, she said she doubted that Mr. de Blasio could reach a deal with the teachers over their 2009 and 2010 pay increases in isolation. Harry Nespoli, president of the sanitation workers’ union and chairman of the Municipal Labor Committee, acknowledged a $3.4 billion award for the teachers could make it harder for other unions trying to get their own retroactive pay. A year after a switch to new standardized tests for public school students caused passing rates to plummet, leaders of both political parties in the New York Legislature on Tuesday called on the state to back away from plans to use those exams to grade teachers. In synchronized statements, Democratic leaders of the State Assembly joined Republicans in the State Senate to propose that the tests, which are aligned with the new curriculum standards known as the Common Core, be excluded, for now, from the state’s new teacher evaluation system, which Gov. Andrew M. Cuomo signed into law in 2012. The proposal will involve altering the law, which requires that the state test results be used for at least 20 percent of a teacher’s evaluation. Other factors, like principals’ observations and locally designed tests, make up the bulk of the grade. Teachers who earn the lowest mark — “ineffective” — two years in a row are at risk of losing their jobs. The change would require backtracking on one of the governor’s earliest legislative victories. But it also could give him an antidote to mounting complaints over the Common Core in a re-election year. Mr. Cuomo has already said he would name a panel to recommend changes to what he called a “flawed” rollout of the Common Core. A spokeswoman for Mr. Cuomo said “it would be premature” to consider a change in the law before the panel finished its work. “The governor believes there are two issues — Common Core and teacher evaluations — and they must be analyzed separately,” the spokeswoman, Melissa DeRosa, said. The standards, adopted by 45 states and the District of Columbia, are intended to promote more critical thinking and have required whole new curriculums in many places. New York’s tests were rewritten to match the new standards in 2013, despite teachers’ complaints that they had not been fully trained and had not been provided with the curriculum. Only 31 percent of students statewide passed the exams in reading and math last year, down from 55 percent in reading and 65 percent in math in 2012. The 2014 tests, also aligned with the Common Core, will be given in April and May. A working group of the State Board of Regents is set to report next week on possible adjustments to the rollout of the Common Core. The board, which is appointed by the Legislature, and the State Education Department, which the board oversees, “will continue to work to improve implementation of the Common Core in our schools and all the laws and regulations we administer in furtherance of educational excellence,” the board’s chancellor, Merryl H. Tisch, and the state education commissioner, John B. King Jr., said in a joint statement on Tuesday. 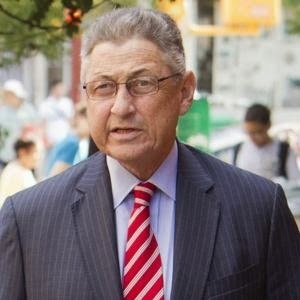 But the Assembly speaker, Sheldon Silver, a Democrat, told reporters in Albany that the action taken on Tuesday was meant as a message that “now is the time” for the board to address the educational issues. The lawmakers said no tests linked to the Common Core should be used in decisions regarding teachers for at least two years. The change, if made, would affect about 18 percent of teachers — those responsible for teaching math and English in the fourth through eighth grades. The legislators also said no decisions regarding students, including promotions and admissions, should be linked to the tests for two years, which could present a challenge to middle and high schools that use test scores in deciding whom to accept. Michael Mulgrew, president of the city’s teachers’ union, said grade point averages, portfolios and the sum of a student’s work could be used in such decisions instead. Some advocates of the new teacher evaluation system and the Common Core expressed concern over the lawmakers’ proposal.